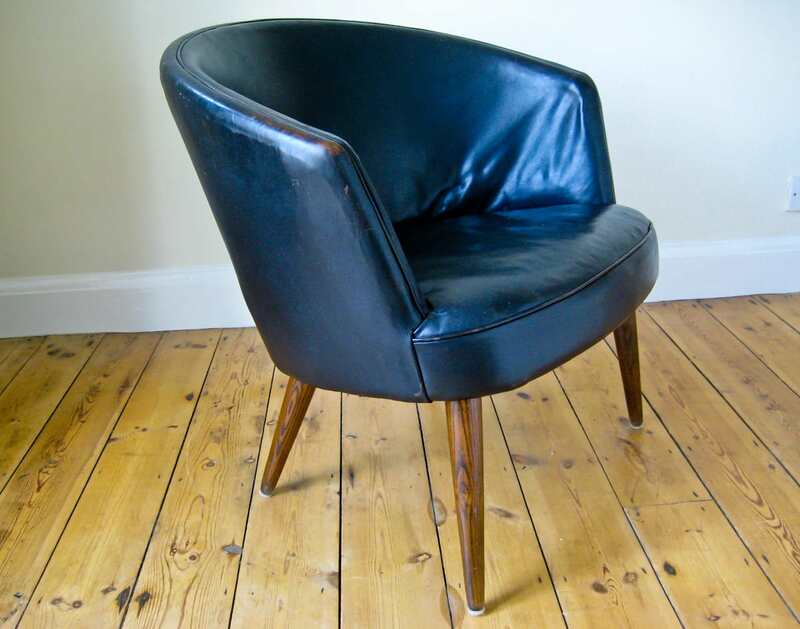 An original mid century armchair from the 1950’s. 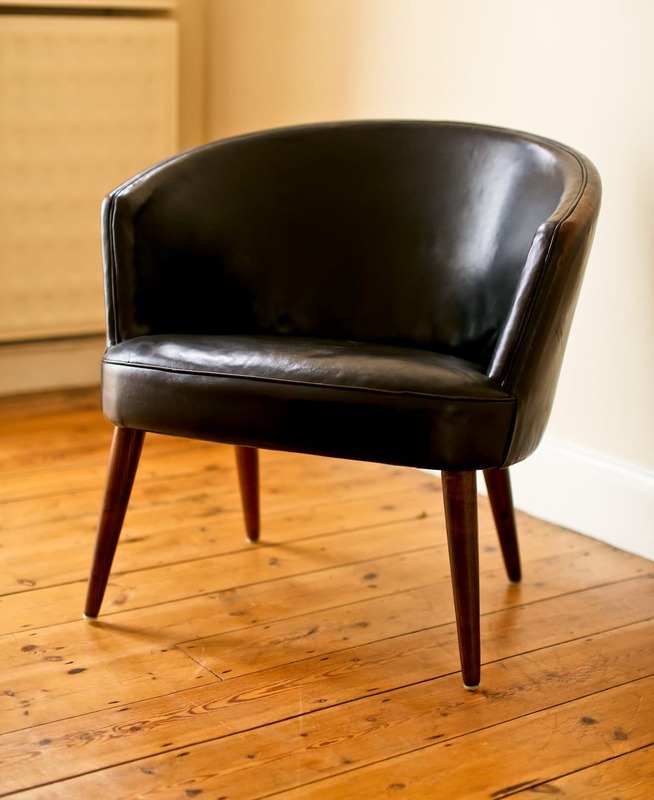 Curved back and armrests encasing the seat cushion, in its original patinated leather on angled tapered oak legs. All in an excellent original condition. An interesting mid century armchair. 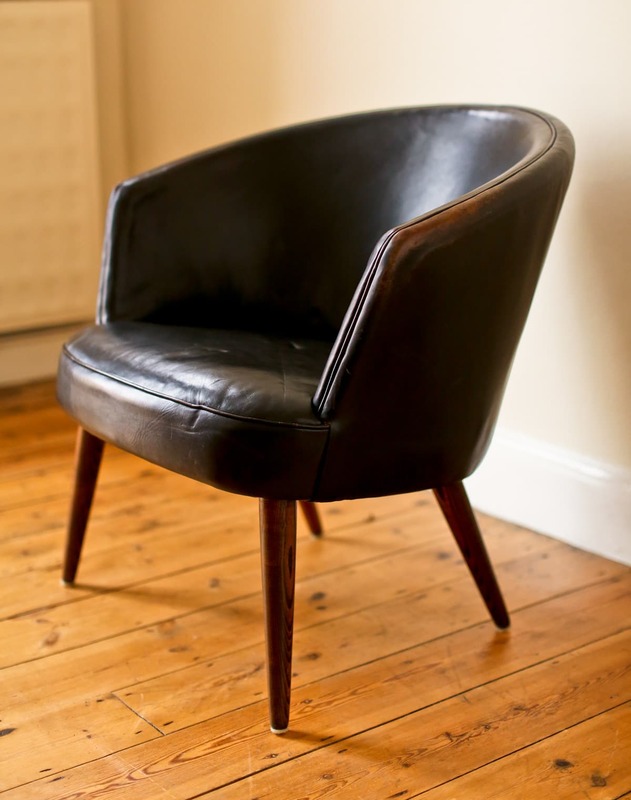 A clean and elegant piece of Danish modern of small proportions that would look great in any interior.